Futsal Coach Victor Bonora in the Allegany Recreation Center, where the indoor soccer sport is played. With the World Cup kicking off today, it’s a perfect time to talk soccer. In New York’s southern tier, an alternative style of the sport is taking hold. For a relatively small Southern Tier community like Allegany, keeping kids active and engaged can become kind of dull. Kalinowski is talking about Futsal. 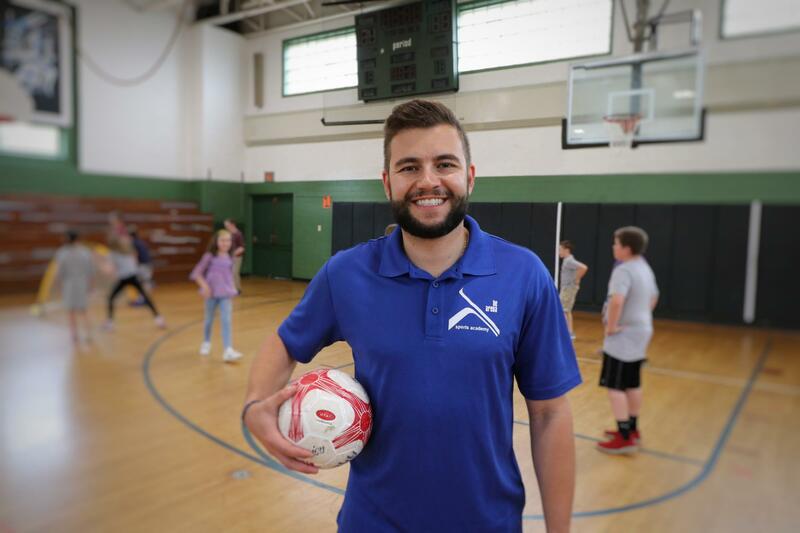 The South American style of indoor soccer is being brought to Western New York by a company called Be Arena with new after-school academies and clinics already underway in both Allegany and Salamanca. Coach Victor Bonora brought the sport from his home country, Brazil, where it’s played as a prelude to soccer. Kids play the sport in Kalinowski’s busy rec center two nights a week. It’s a year-round activity, and that’s a big draw for a town that can be hammered by winter weather for much of the year. Soccer is played indoors and outdoors on large fields, with 11 players on each side. Futsal is played exclusively indoors on hard courts, with five players to a team. It has different rules, a smaller, slightly deflated ball, and a faster pace. “You can develop your skills much better because you touch the ball many, many times. One-to-one contact is more frequent than if you’re six years old and you’re in a massive field – you’re not going to be touching the ball that much,” Bonora explained. But it wasn’t just newness and year-round appeal that sold Kalinowski on Futsal. “I watch kids all the time and the competition drives them, and it’s exhausting for these kids. It’s all about winning. It’s all about trying to get that done. This is about the individual, the player,” said Kalinowski. American culture is a hard obstacle to overcome, but instead of focusing on expectations of win or lose, BeArena’s program focuses on player development and just having fun. “Our goal is to develop their physical skills, and their mental skills, and their group participation,” said Bonora. Hundreds of pages of written methodology lay out weekly lessons. They start with conversations about what’s happening in the world and in the kids’ lives. Then it’s on to Futsal skills. “So today, we’re going to be learning passing. Today it’s our focus. We’re going to be learning passing today,” said Bonora, portraying how a session might begin. A series of exercises will focus on technique and then tactics of using skills in a game. “And then we have feedback at the end of every session as well, asking them, “What exactly did you learn? You knew the focus was passing. Do you think you got that right? Do you think you got that wrong,’” said Bonora. With topics like self-confidence, friendship, and even anti-bullying, the goal is to get kids thinking critically about their activity both on and off the court. It’s something Bonora aims to convince parents to get in on, too. “You know, asking questions like, ‘Did you have fun today? Did you learn anything today? How was your session? Did you make any new friends?’ Things like that is definitely what we’re going to be encouraging parents and kids,” he said. After using the southern tier as a testing ground, Bonora hopes to expand into Buffalo and beyond. 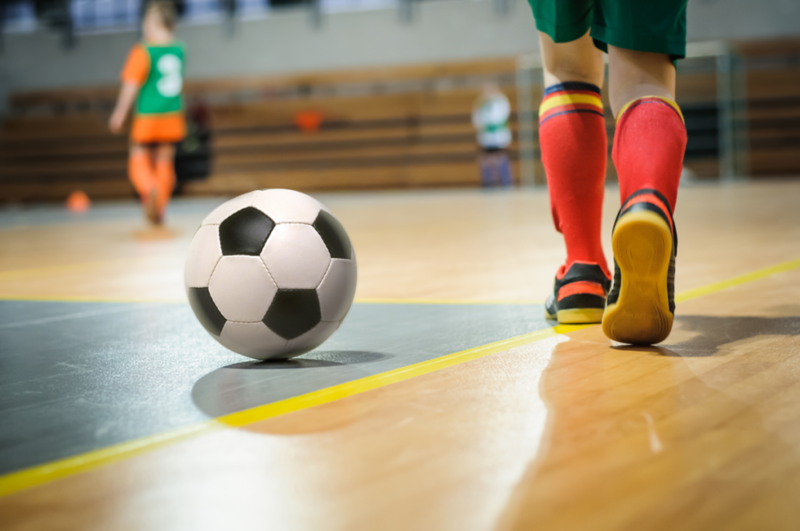 With a relatively low cost to play, and popularity already growing, he’s confident Futsal and its alternative approach to play will continue to take hold. 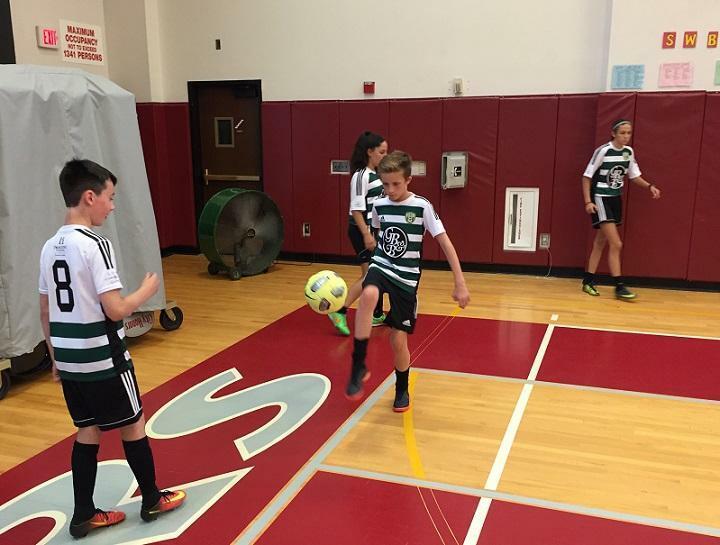 BeArena has scheduled their first free day-long Futsal clinic in the Buffalo area, June 23 at the Nichols School. 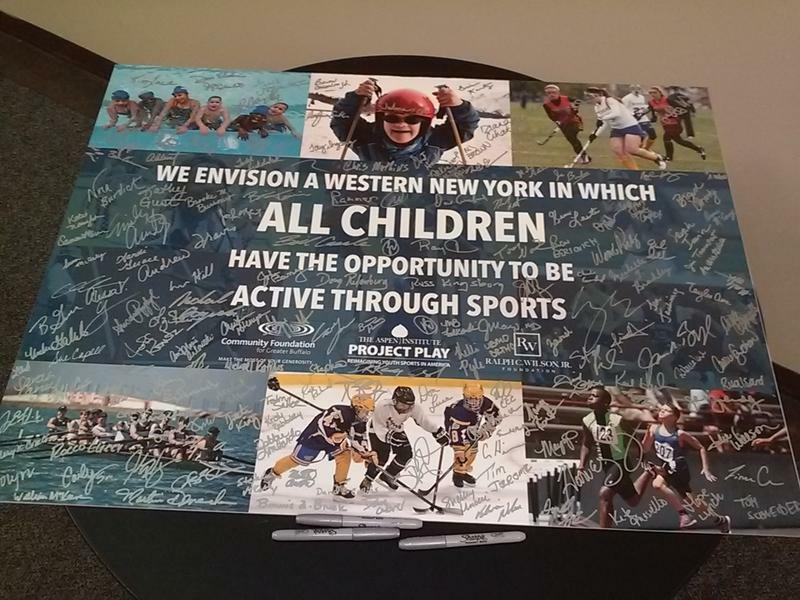 The partners who earlier this year released a report known as State of Play Western New York were in downtown Buffalo on Thursday, seeking input from community stakeholders as they plan how to advance a project designed to increase youth sports participation and, in turn, improve their health. How can Western New York fix the lack of physical activity among its kids? Two local foundations are looking for your help finding the answer. 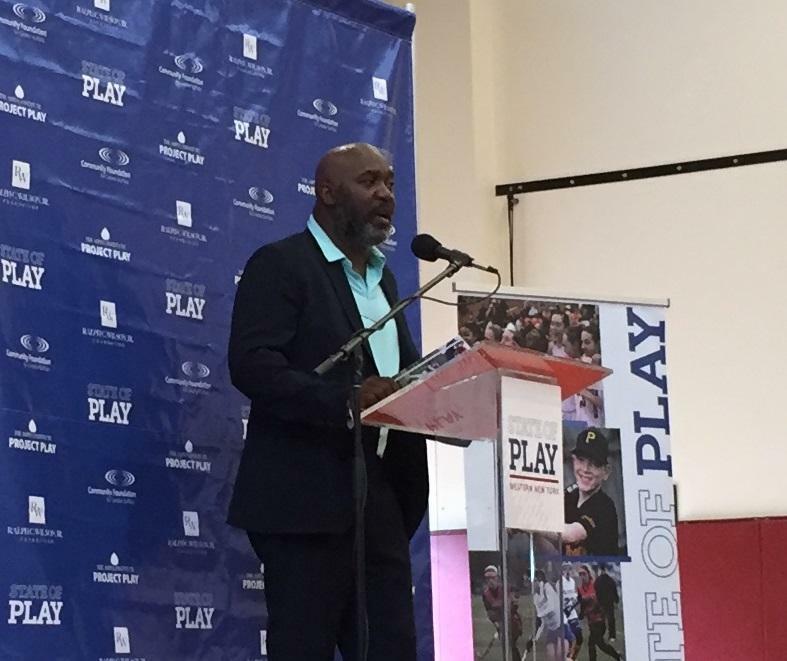 A team effort to encourage more youth participation in sports is expanding and going nationwide. And one of the institutions that helped roll out a plan at the Western New York level earlier this year is joining more partners on the national project.